For those who can't afford flash(aprox $700 or more for the full adobe version and $200 or more for the student version) or just want to give it a try and make. This is a cheaper way of figuring out if you like to animate than later buying something you wont use at all. Most of these are completely free but there are some that are in here that are pretty cheap compared to what you spend on for the adobe products. After a while and you like animating or get the hang of coding it is worth investing your money into getting adobe flash. most of these you can pick up at a Best buy,future shop or any other store that carries electronics. -a community website where you can play games,make animations, colaborate as well. If your can animate well enough you can earn money from people buying your animated character animation. -The program uses mostly fbf animating. 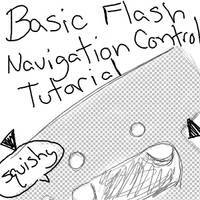 It shares the same onion tool concept as flash though you can only do everything on one layer. -The animations you make can only be exported as animated GIF's. So you can either post your animations as a whole or try and make an animated DA avatar icon. -haven't used this but by looking through the tutorials the interface is allot better than Easy Toon and is easier to do frame by frame animating since the onion tool is included that flash uses. Its a whole lot like flash but without allot of the tools flash uses. it has a decent timeline and you can use sounds/music also. -stop motion software best used with a webcam or video camera. -quick and easy way of editing current audio files as well as recording your own voice's and sounds for either video or animations. 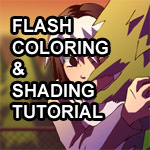 -another animation program that is similar to flash but at times can be hard to understand certain things for new people. Its up to you if you want to learn this or not like all things its just another learning curve. -a free down loadable 3D program you can use if you would like to do some 3D related artworks. Any tutorials or tips in working with the tools can be found on the site. -is a software package for doing 2D animation. Works well with those who prefer to do traditional animating. - The program does a multitude of multimedia functions in a simple fast way. 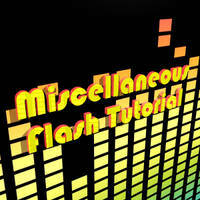 Create Flash Movie Web Buttons, Logos, Banner Ads or Slideshows for your Website. Fast, Clean, Audio/Video presentations. 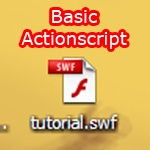 - iMB Flare SWFlets(tm) allows you to use either the features of FlareAnimation, FlareBanner, or FlareText SWFlets with simple dialogue-based input windows. You can start with a built-in template and modify it, load a movie from our web site or start entirely from scratch. - Namo FlashCreator has an easy-to-use interface and nine panels to create and modify almost all of the properties or settings of a Flash movie, such as shape, instance, text, or ActionScript. 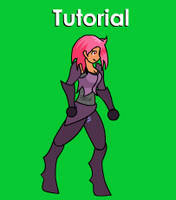 -Sothink Glanda is a template based Flash movie maker. With a few clicks you can create a variety of animated flash such as interactive button, navigation, splash movie and graphic logos. - With COOL 3D 3.5, your text and shapes are easily customizable into eye-catching 3D. Output vector-based Flash with the new EnVector module. - Wildform Linx is an easy to use Flash editor. It lets you import, edit, manipulate and combine virtually any type of Flash SWF file, from simple images, to complex animations, audio and video. - Xtivity is a new Macromedia Flash Authoring Software program that allows you to visually design interactive Flash web projects in a layout style workflow. - Anime Studio 5 is your complete 2D animation program for creating 2D movies, cartoons, anime or cut out animations. Create your own desktop animated shorts in the style of South Park and Jib Jab, or use Anime Studio to produce full-length animation for film, video or streaming over the web. Anime Studio allows digital enthusiasts at home and professionals in the studio bring their imagination to life! -nice informative animation book put together by Richard Williams the animation director of the movie "Who Framed Roger Rabit. Its pretty funny to read but allot of the content is technical so if you wanted step by step info its lacking but its useful to those who want to animate both 2D and 3D. -This book focuses mainly on creating proper storyboards and talks a bit about drawing and other useful things. -overall the book is really good at explaining different camera shot and how to portray your idea's and thoughts effectively. -this one was very good at instructing you how to properly frame by frame a cartoon. 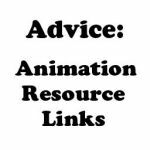 Allot of examples given from the ground up but lacks the technical instructions that the Animator's Survival kit provides. -this book was very good when it came to learning about animation. Talks about what kind of materials they use,drawing characters and backgrounds,story boarding and giving overall tips and talks about different themes. Here are various links that have caught my eye that seem useful. -very good tutorial for learning how to draw from your mind and goes over lots of steps in order to complete a whole person. It does cost money to get the rest of the DVD's its good to have especially when your the type of person who learns by being shown rather than reading through books and online tutorials. Art101 looking through the various news pages on this individuals ng page provides allot of information on animation and art in general. whirled was shut down R.I.P and someone copied it but it takes around a month to get it and it doesent work on windows 8 and up. Most of the links fail. Also, I'm happy to be the 1000th guy who favorite this art piece! I don't know if you'll update this, but pencil2D is also a free animation program. I really love the nightly builds they put out, and it's open source. This is awesome! Thanks a ton for sharing this! I've wanted to learn to animate for ages but had 0 resources. cool. it is great. thanks for your details information. I used Mybrushes drawing software which can record and playback my drawings but I could not draw art so nice as you. I've got Pencil and have made a few animations with it, but when I try and upload one of the animations on here it won't let me. Can you help me? Tried to download Pencil but it only works for windows xp and vista not my windows 7. Did look up some info that could help you though. Okay. Thanks a lot for the help, bro. Great info tks for putting this up. I'm a devion-newb looking for free software just to decide if I can, or want to fight the learning curve. ----I have been hammering on the net and found Gimp-2 as a free download, but it seems to be heavy for entree level . Information like this is always helpful. Thank you! Thanks for uploading this....It really helps. hi who is The Best Creator Blender Animated text file ? The programs above would work for a sprite movie, not a game, but a movie, right? Does anyone know of a good Stop Motion Software for the Mac? I'm looking for something to replace "FrameThief". I need something that can run with OS X (Lion). It's a pain since PowerPC isn't supported, but can anyone help me? I haven't had too much experience doing stop motion but heres a link to a list of free stop motion software for the mac. Though some may be Some are only trail 30 days or others they only give you so much feature and you have to pay to unlock them. For tutorials on the software you have chosen Some sites have forums in which people have made tutorials or users ask general questions also if you are lucky enough someone might have made a video tutorial of what your learning over youtube. Simply typing in (*software name*) tutorials you could get lucky and Someone posted a beginers video tutorial you can follow and learn the basic's faster. Thx a lot! I was thinking on just animating in Photoshop. Any downsides to that? its all about your personal preference actually[link] if you have photoshop then you can use that. Toon Boom Animate and Pro has a free version of there animation program call Toon Boom Animate and Pro Personal Learning Edition (or PLE). All you have to do is make an account (which is free) on the ToonBoom Website and download it. Plus, there's no time limit. You can keep it. Flipnote Studio and Inchworm Animation for DSiware are good animating softwares. Thanks a TON, I needed this!! Thanks so much for this!! I'll definately be using it!! I want to make a dress up game, which one of these free programs would be the best? Please help! I downloaded this program called "Scratch". Is there any way I could possibly upload the animations to DA? [link] looking through this forum on the site it mentions they aren't planning on making an export movie portion in scratch. However there are programs used screen capture programs such as Camtasia (for PCs) or SnapZPro (for Macs). by searching google for "Free online screen recorder you should get a list of free recording software to record your animation or game and export it into something deviant art can use. da allows you to upload swf but here [link] which are the avi or other video formats you have to apply. If you are able to export your file as a swf then you can upload as much as you want. Another way would be to have Adobe flash and import your video into flash then saving it out as a swf but the adobe products cost money. uhh...I got all the frames for my animation, but I can't seem to get the right speed, it looks too slow, and it says 1.5 sec on each frame...how do I change it? If you want a animation to take longer to go from start to finish making the timeline of that frame longer would delay that motion. For example instead of a quick bounce of the animation making the scene longer would have the ball slowly bounce. Hmmm. I've been trying out Pencil and I love it, but I have no idea how the .data file it saves at works, or how to save the file as other working file types! Like GIF or so forth. Gonna fiddle with EZ Toon next methinks. How do I get my animations, from the program PAP, that I have created to save to my computer so that I can show them on Deviantart and YouTube and what not? because I saved it, but it only shows up in the Plastic Animation Paper program, it doesn't show up in my documents! please please help me!